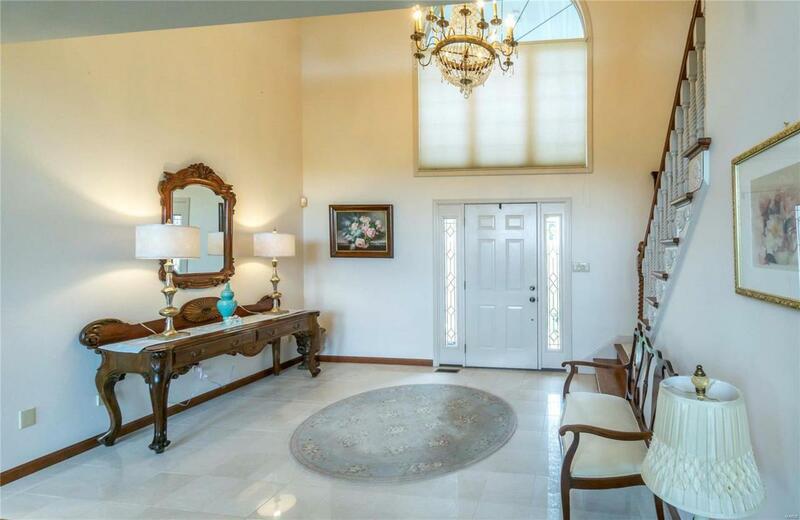 Less than an hour to St. Louis via I-44, is this 57 acre, gorgeous country estate with a stately, 6,000 sq ft, custom brick, 1 1/2 story with atrium lower level. 5 stall barn with tack room & huge hay loft. 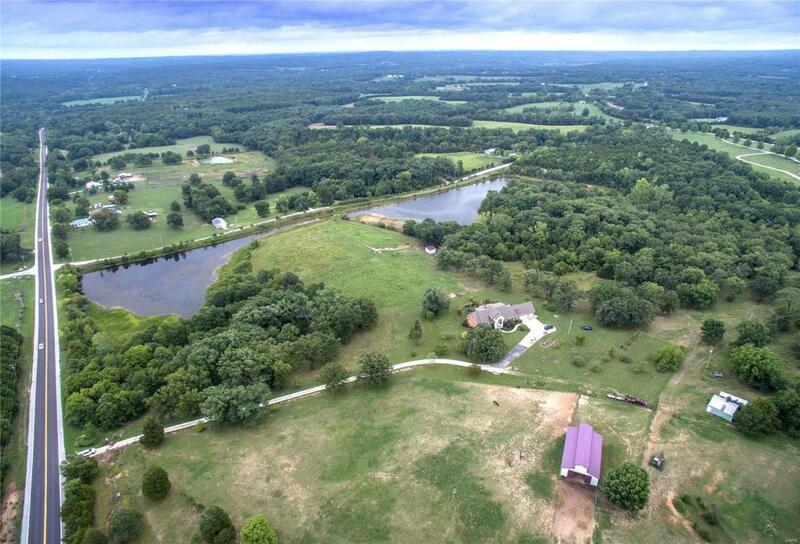 8 fenced pastures, 10 acre stocked lake, well established fruit tree orchard, perennials & organic garden areas are just a few of the many features of this luxury, country estate, not to mention the wildlife & recreational opportunities. 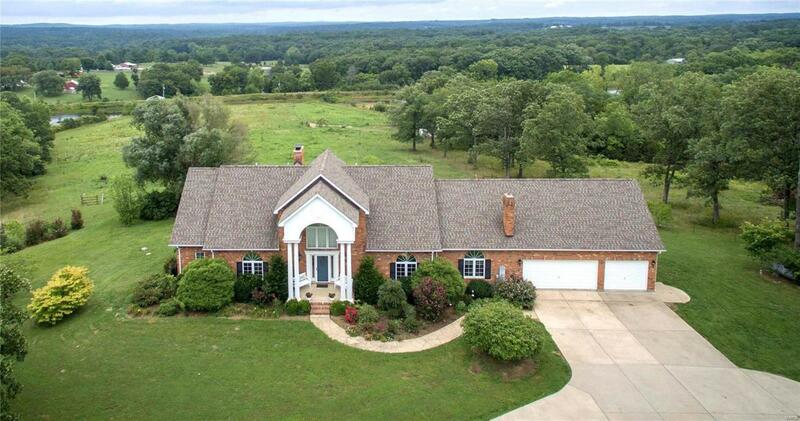 Well designed, 16 room home offers strategically placed windows for optimal views over the farm. 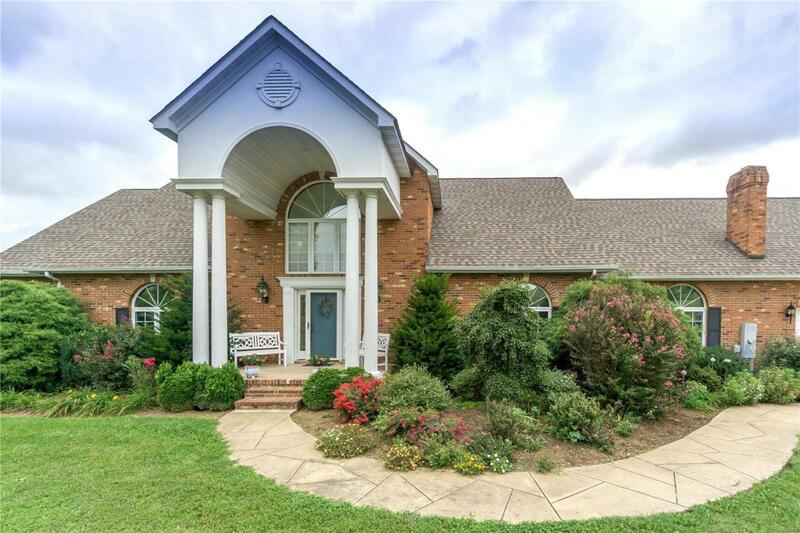 Architecturally appealing with a hearth room, 1 1/2 story great room and music room. Convenient, main floor laundry. Zoned Heat & AC, and endless hot water. The finished, atrium lower level makes a dramatic statement on the inside and from the outside! Must see this visually stunning property.